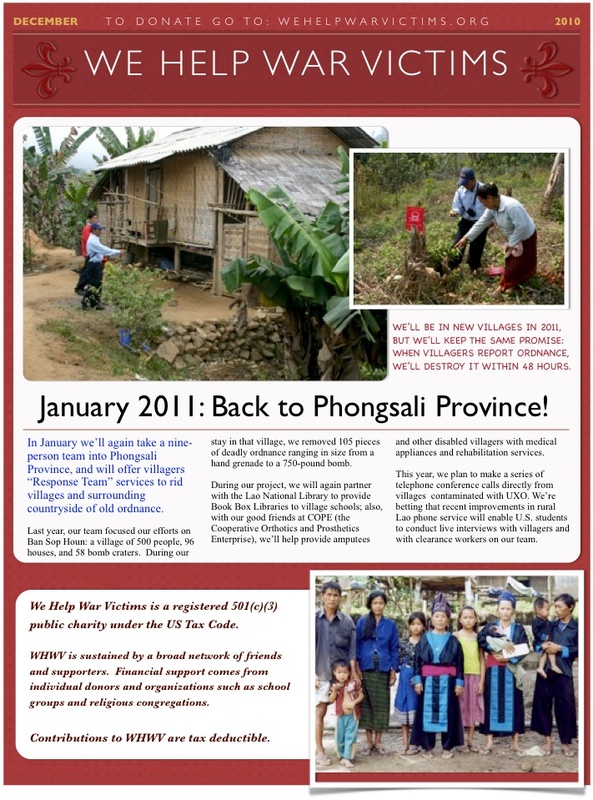 January 2011: Back to Phongsali Province! In January we’ll again take a nine- person team into Phongsali Province, and will offer villagers “Response Team” services to rid villages and surrounding countryside of old ordnance. Last year, our team focused our efforts on Ban Sop Houn: a village of 500 people, 96 houses, and 58 bomb craters. During our stay in that village, we removed 105 pieces of deadly ordnance ranging in size from a hand grenade to a 750-pound bomb.